Our Beyond Paper series is a natural progression from Protopaper and translates from paper to other materials. 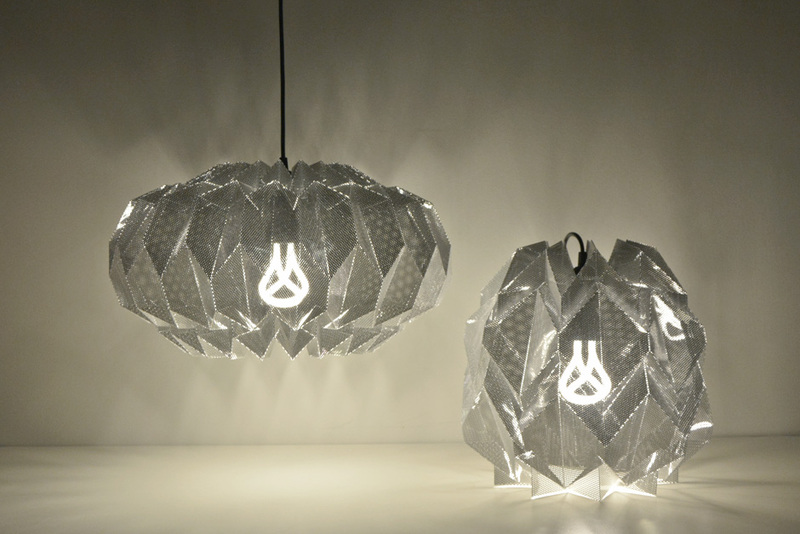 Night&Day Shades One and Two are inspired by the effects of bioluminescence and transparency found in the body of the jellyfish. The geometric shapes impose their structure on the fold segments which, in turn, determine the colour reflection. With the light switched off, the transparent contrast changes constantly, depending on the different degrees of intensity and brightness of natural light. When switched on, light passes through these volumes, and diffuses softer lighting. 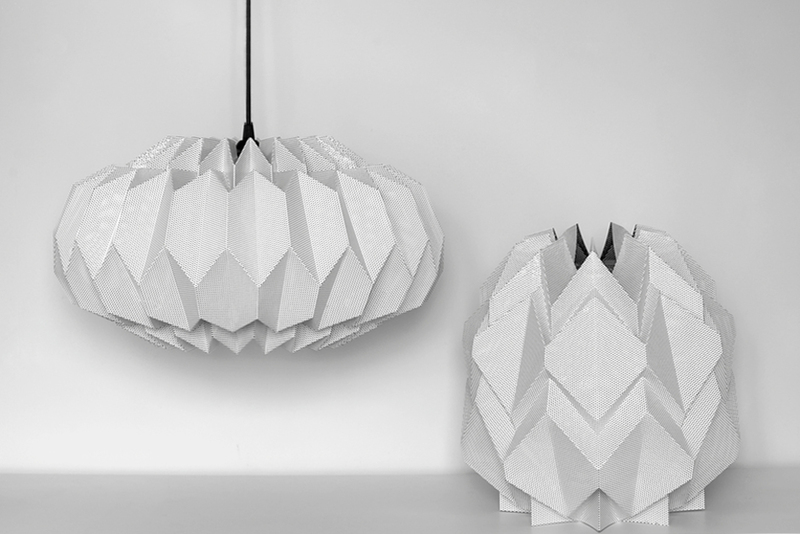 Each lamp is skilfully hand-folded from one single sheet which forms its structure. This process is created from a flexible, multi-layered material, which once assembled, reveals its transparency properties. 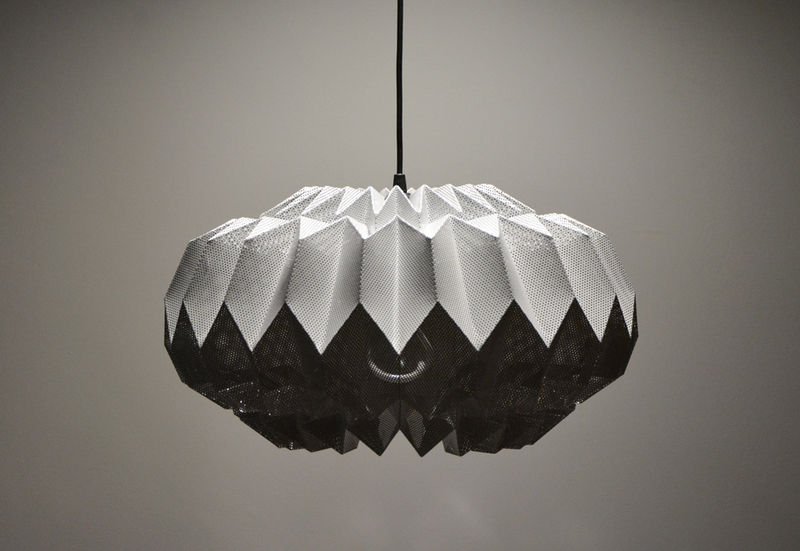 Night&Day One is structured in a hexagon geometric shape. 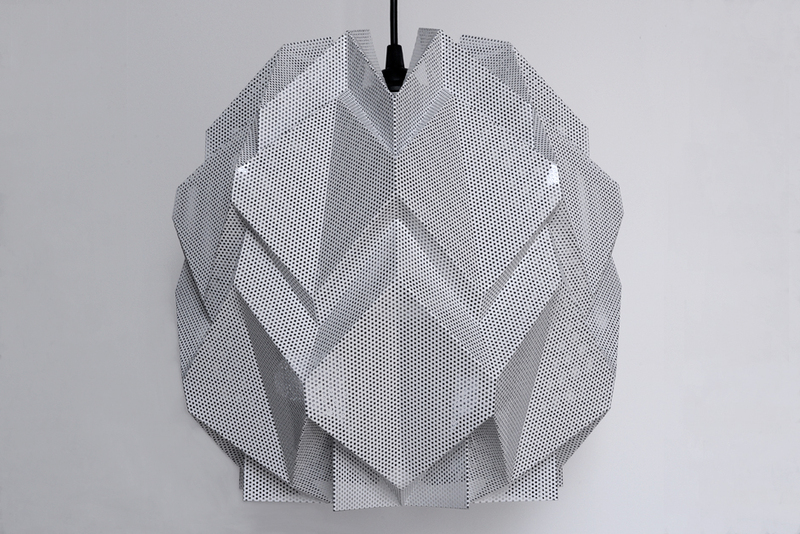 The light is diffused through these surfaces and radiates more intensely in between the folds. Night&Day Two is chevron and rhombus-shaped and each section bends to create a harmoniously connected pattern. This can be used a pendant ceiling or table light.